We offer coin laundry machine repair of coin-operated washers and dryers in San Diego. We perform the same great service to coin operated laundry machines as we do with our residential washing machine repair. Coin Laundry Machine Repair and Laundromat Repair Services is one of our many specialties. Give us a call at (619) 327-9501 to schedule an appointment for coin laundry machine repair. You can also call to ask to speak with a technician about our coin laundry machine services. Coin Operated Commercial Washing Machines and Commercial Clothes Dryers that are not owned and maintained by a service provider are eligible to be repaired by us. The service fee for all commercial appliance repairs is $75. If you agree to have the repair done by us, we will waive the service fee and you will only pay for parts and labor. The $75 service fee covers our technicians time, gas, and other costs involved with coming to you and providing you with an accurate diagnosis and quote for repairs. A coin-operated washing machine, is still a washing machine. It has the same basic components as every other washing machine. The only main difference is a box that accepts coinage in exchange for letting it run for a cycle. So just like any other washing machine, we repair all major and minor issues with them. Coin-Operated Washing Machine get a lot of wear-and-tear! We can get the repaired and up and running again. 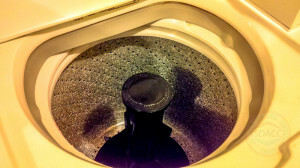 A coin-operated clothes dryer, is still a regular clothes dryer. It has all the same basic components as every other gas or electric clothes dryer there is. The one big difference is a box that accepts coinage in exchange for letting the dryer run for a cycle. 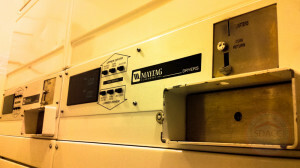 So, just like with any other dryer, we repair all major issues with coin-operated clothes dryers. Coin-Operated Clothes Dryers take a lot of abuse from constant use. We can get them back in tip-top shape for you. We repair all major brand names of coin-operated laundry machines, coin-operated washers, and coin-operated dryers. To see if we offer coin laundromat laundry machine repair services in your area, please view our service areas page. You can also give us a call at (619) 327-9501 to schedule an appointment or speak with a technician.